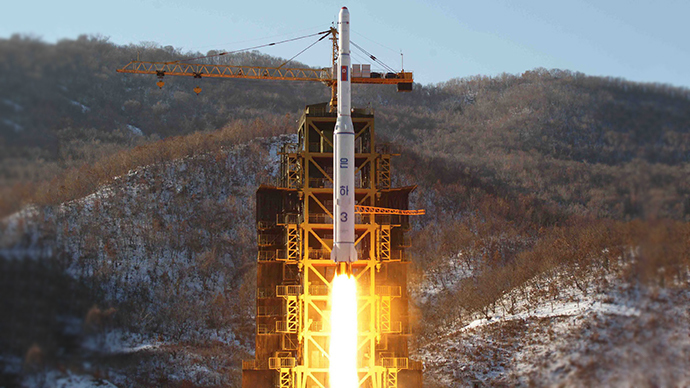 North Korea’s Unha-3 rocket was built with components from South Korea, the United Kingdom and the United States, UN experts revealed. In a little-publicized March 10 report, the UN Panel of Experts also discovered the rocket contained off-the-shelf parts from China and Switzerland, while Soviet-era SCUD missiles have also been stripped down for components. The bulk of the components had not been obtained in violation of sanctions targeting the North, the UN said, adding their utilization “shows the ability of the Democratic People's Republic of Korea (DPRK) to assemble complex systems with globally sourced components." Many of the parts in question listed are widely available computer components. However, a US-manufactured video decoder, along with UK-made temperature and pressure sensors, were also recovered. 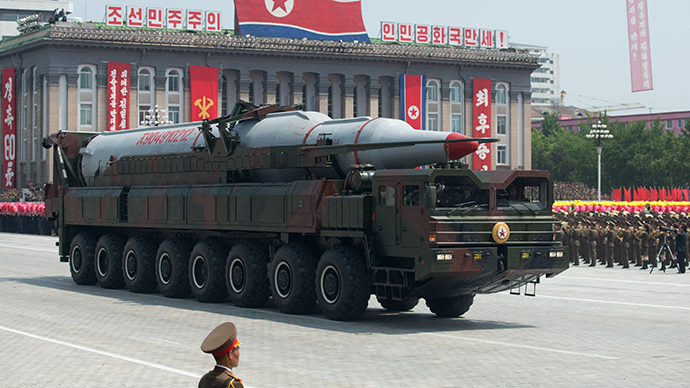 However, placing these dual-use components on the North Korean sanctions list could prove problematic, analysts say. "The current list of banned military and dual-use goods is already comprehensive. Adding more readily available materials to it would both risk infringing on legitimate non-military end-uses and be extremely difficult for member states to effectively implement," Lawrence Dermody, an analyst specializing in illicit trafficking at the Stockholm International Peace Research Institute, told NK News. “If you start to ban items that are not in themselves offensive, but that just might be used for building a missile, where do you stop?” an anonymous source familiar with UN sanctions told the news site. Of the components recovered, only two were obtained in potential violation of UN sanctions. The panel said that the radial ball bearings used in the Unha-3’s rocket met four specific criteria enumerated in the sanctions list due to their "tolerance, inner and outer diameters and width." They added that the "umbilical and inter-stage electrical connectors are now prohibited for import and export." The panel was unable to determine when the ball bearings were produced, though the concluded they might have been made in the 1980s and sourced from the former Soviet Union. Directly or indirectly exporting any component which can be used in North Korea’s missile program is punishable by up to 20 years in prison and a fine of $1 million. At the time of the report was published, the United States had not replied to UN panel’s request for information regarding the American-made parts. “I certainly hope that (the US) government, as a UN member state, is meeting its obligations under UN Security Council Resolution 2094 to investigate the sourcing of these exports,” North Korea sanctions expert Joshua Stanton told NK News. Meanwhile, the UN analysis was released just before Pyongyang test fired two medium-range Rodong ballistic missiles –a precursor to the Unha-3 – off its eastern coast into the sea Wednesday. The launch, the first of its kind in four years, corresponded with a rare Japan-South Korea-US summit on the sidelines of the Nuclear Security Summit in The Hague. 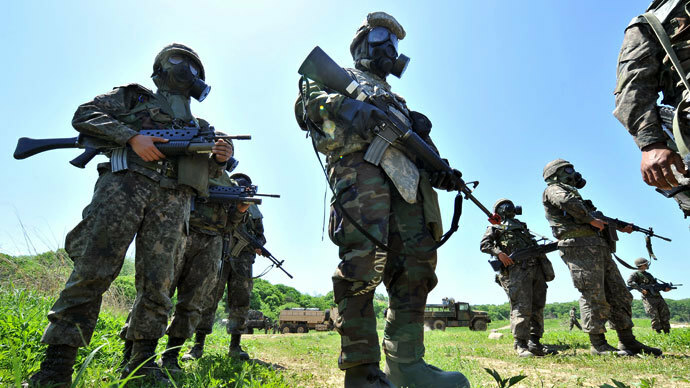 They also coincide with Join US-South Korea military exercises. “The North's pre-dawn missile launch is believed to be aimed at protesting against South Korea-US joint military exercises and demonstrating its infiltration capability in a show of force," South Korean Defense Ministry Spokesman Kim Min-seok said. UN Secretary-General Ban Ki-moon warned North Korea that such launches could undermine trust in the region. “The Secretary-General urges the DPRK to cease its ballistic missile activities and focus, together with other countries concerned, on the dialogue and diplomacy necessary to maintain regional peace and security,” a spokesperson for Ban Ki-moon said. On Thursday, Luxembourg's UN ambassador, Sylvia Lucas, told reporters that the UN Security Council had "agreed to consult on an appropriate response" to the ballistic missile launch. "Security Council members condemn this launch as a violation of Security Council resolutions," Lucas said after a closed-door meeting in New York. Luxembourg holds the Security Council's rotating presidency for the month of March. A 2006 Security Council, which was passed in the wake of Pyongyang’s first nuclear test, prohibits North Korea from developing ballistic missile technology. Pyongyang has defied the ban on several occasions. The latest example was the successful launch of a space satellite in 2012, which many countries saw as a veiled test of a long-range ballistic missile with military needs in mind. 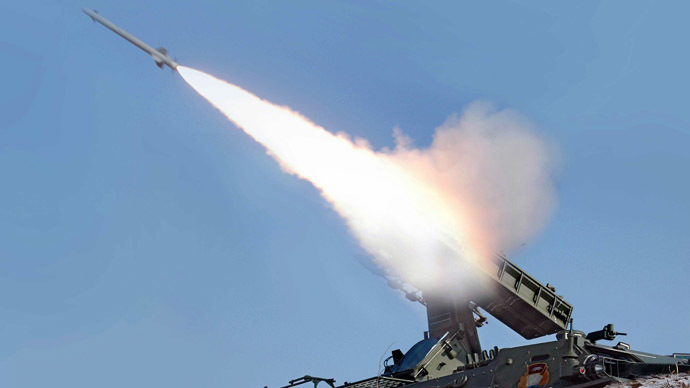 Rodong launches are rare in North Korea, which has tested the missile twice, in July 2006 and in July 2009. 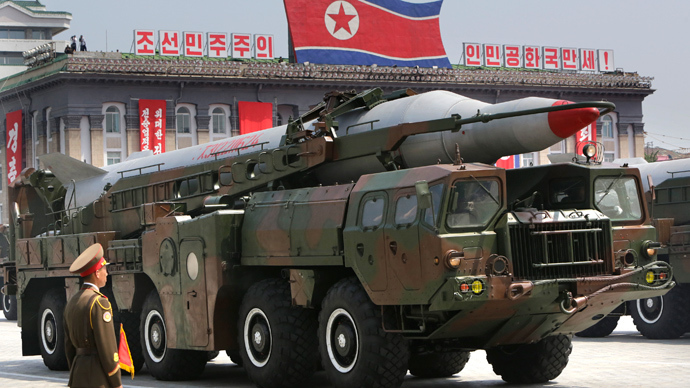 North Korea is believed to have between 50 and 100 such missiles in its arsenal.